Have you ever wanted to save a life? Well, now is your chance. 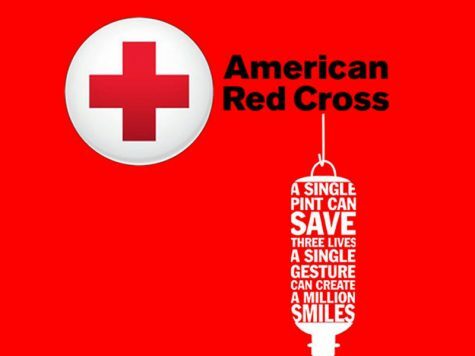 Darien High School will be hosting a blood drive in partnership with the Red Cross. 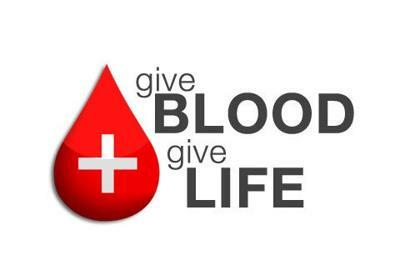 Come to the North Gym at Darien High School anytime from 3pm-7pm on April 23rd and donate blood to local blood banks. According to the American Red Cross, every two seconds someone in the United States needs blood, which means 44,000 donations are needed every day. One blood donation can take up to 45 minutes to complete and can rescue up to three people. Blood donors must be at least 17 years old in order to donate blood and cannot give more until 8 weeks pass. According to the Red Cross, a person who starts donating at age 17 and continues for their lifetime can save 1,000 lives. While donating blood can save the lives of other people, it can help you as well. According to the Harvard Medical School Family Health Guide, blood viscosity is a major factor that leads to cardiovascular disease. By donating blood, a person can reduce their risk of cardiovascular disease significantly because it eliminates iron from oxidizing in your blood. In addition, the reduction of iron associated with donating blood can reduce the risk of many cancers. Many cancers of the liver, colon, esophagus, and stomach are linked to high levels of iron in the blood. Furthermore, the Mental Health Foundation found that knowing you are helping others can reduce stress, improve your emotional wellbeing, benefit physical health, and get rid of negative feelings. Before you donate, try to eat a healthy, low-fat meal and drink an extra 16 ounces of water. Wear a short sleeved shirt or one that has sleeves that are easy to roll up because the needle will be inserted into your arm around your inner elbow. The total amount of time the donation process can take varies between 30 minutes and 1 hour. During the blood donation, you will be seated in a reclining chair and can choose to be sitting or lying down while one pint of blood is drawn. A small area of your arm will be cleaned and a sterile needle will be inserted for about 8-10 minutes. If you have a fear of needles, try reading, talking to someone, or listening to music to feel better. At the end, your arm will be bandaged and you’ll be given a snack and a drink to replenish your blood sugar. If you feel faint, sit or lie down for about 15 minutes. Be sure not to exercise for at least 24 hours afterward donating blood. Blood donation is completely safe for healthy adults and teens. New and sterile equipment is used for each donor to ensure there is no risk of contracting any diseases. Some people may feel light-headed, dizzy, or nauseated after donating blood. That is completely normal and should only last a few minutes. If you experience bleeding at the needle site, apply pressure for a few minutes and raise your arm to stop this. If you would like to sign up in advance for DHS’ blood drive on April 23rd, please use the following link: https://www.redcrossblood.org/give.html/drive-results?zipSponsor=DarienHSCT. You may also use the code DarienHSCT with the website RedCrossBlood.org. Be sure to come to the blood drive at DHS and donate blood to save up to three lives.